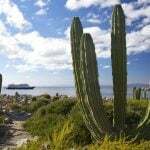 He arrived with nothing more than a suitcase, tattered hat, and a bit of marmalade. When Michael Bond introduced the world to Paddington Bear back in 1958, he established a literary tradition that would enchant children around the world decade after decade. With the release of the new movie, Paddington, on January 16, 2015, a new generation of children is sure to fall in love with this precocious bear from “darkest Peru” who sailed across the ocean to discover London and all its adventures with his adoptive family, the Browns. 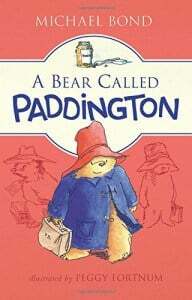 The release of Paddington is especially exciting to my daughter who has been reading about the little brown bear in the vibrant blue duffel coat and asking all sorts of questions about British culture and landmarks along the way. I have no doubt that when she catches glimpses of the Tube, Buckingham Palace, Portobello Road, and Paddington Station while watching the movie, it will spark a deep desire to explore these famed London sites for herself, just as Paddington did. Begin your family’s London adventure by arriving at Paddington Station, just as Paddington did decades ago. The Heathrow Express is the quickest and easiest way to get from the airport to Central London, pulling in to Paddington Station in just 20 minutes time. 80,000 people pass through this station every single day, which is also the ideal place to hop on board a train to several worthy UK destinations such as Wales, Bath, and Bristol. While at Paddington Station make time to visit the famous bronze Paddington statue located in area of the station called “The Lawn.” There is no actual grass at The Lawn but there is the world’s only Paddington Bear Shop which is filled with all sorts of Paddington Bear-themed gifts, including irresistible stuffed bears complete with their own duffel coasts and wellies. The Lawn is also a great place to pick up a quick bite to eat, with various quick service restaurants as well as M&S Simply Food which is filled with all sorts of ready-made meals and snacks that are perfect for taking back to your hotel after a long trans-Atlantic journey. Families will find the easiest and least expensive way to get around London is to do as the locals do and take the Tube, London’s underground train. Children under the age of 11 can travel for free when accompanied by an adult (up to four children per adult); simply ask a staff member to open the wider gate at each station to let you all through. In Michael Bond’s first book, “A Bear Called Paddington,” Paddington manages to get separated from the Browns in the crowd. If you travel around London outside of rush hour, which I highly recommend, you will find traffic in the Underground to be quite light, but if you do need to move about during the busiest hours of the day, be sure to hold hands to avoid a “Paddington” moment. 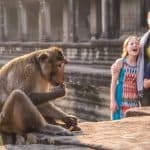 If your children have read the Paddington books and seen Paddington, the movie, they will most definitely want see the sights and share in some of the same experiences that Paddington had during his many adventures. Paddington lived at 32 Windsor Gardens and while the address itself is fictional, the general location is quite easy to find off Harrow Road near Notting Hill. It is also close to Portobello Road, the legendary market and antique shop destination that Paddington frequented with his friend, Mr. Gruber. The best time to visit is on Saturday when over 1,000 dealers, selling everything from antique glass eyes to old cricket balls (can you image a better British souvenir for a sports fan? ), line the street and fill the shops, making it the best place in all of London to shop for something extra special to bring back home. Charlie’s Portobello Road Cafe is a nice place to stop in for a proper English brunch or a helping of Shepherd’s pie after a busy morning of shopping. Much of Paddington takes place inside London’s Natural History Museum, where the villainess, Millicent, works as a taxidermist. This museum, like many other museums across London, grants free admission to all visitors, making it a must-visit for any fan of history, science, and Paddington Bear. Be sure to reserve a spot on one of the daily Spirit Collection tours which takes visitors behind the scenes of the museum to get an amazing look at some of the 22 million animal specimens that the museum keeps preserved in jars of alcohol, including a massive giant squid and specimens collected by Charles Darwin himself. Fun fact: the word dinosaur was invented in this museum when teeth were brought in and a scientist determined they must have been from a “terrible lizard.” The museum’s Dinosaur Gallery is not to be missed, nor is its Treasures Gallery which houses special items such as a rare first edition of Darwin’s On the Origin of Species, a dodo skeleton, and a lion skull found in the moat surrounding the Tower of London. Did you know? Several of London’s museums offer free entry? Check out our guide to 20 free things to do with kids in London. 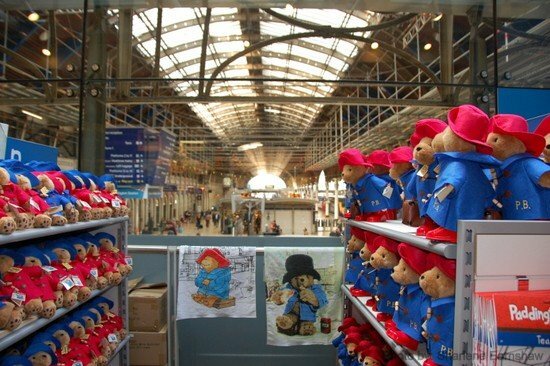 If you forgot to pick up your very own Paddington Bear at Paddington Station, fear not! Hamley’s, one of the world’s oldest and largest toy stores, has six floors of fun waiting for your family on Regent Street, and plenty of duffel coat-wearing Paddingtons for everyone. Not far from Hamley’s and just down the street from world-famous Piccadilly Circus is Fortnum & Mason, a true British institution and purveyor of fine goods. 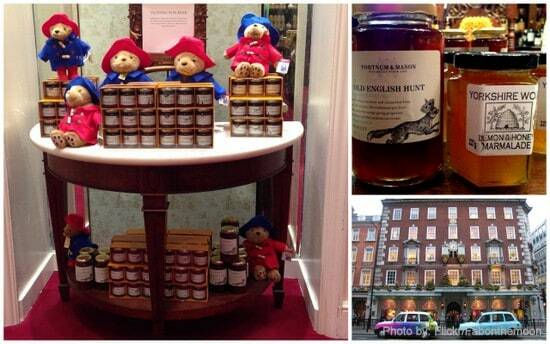 Besides having perhaps the largest stock of quality marmalades (Paddington’s favorite!) in all of Britain, this store is the ultimate place for purchasing high class, quality British cookies, teas, chocolates, and oh so much more. The Queen herself has been said to shop here! Speaking of the Queen, no first trip to London is complete without a stop at Buckingham Palace. 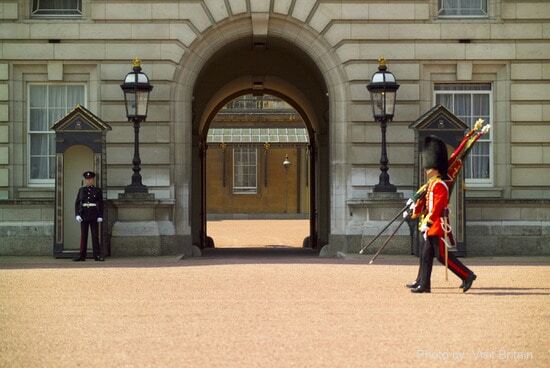 The real highlight for kids is watching the changing of the guard, which typically takes place at 11:30am every other day (check the Buckingham Palace website for most the most up-to-date information). Arrive early to ensure good viewing and make sure the kids aren’t expecting to be offered tea by the guards as a sopping wet Paddington was once graciously served. After the ceremony, consider heading into St. James Park, located just across the street, for a picnic in the park. The bridge over the lake is an ideal place to snap a stunning shot of Buckingham Palace and the pelican feeding at 2:30pm daily is always a highlight for children. London’s West End, Britain’s version of Broadway, is the very place where the Browns took Paddington to see Sir Sealy Bloom perform on opening night. There are several kid-friendly plays and musicals being performed in the West End, many based on literary classics. Matilda The Musical is based on the classic book by British author Roald Dahl. It is full of energy and wit, making it wonderful for school-aged children as well as adults. Charlie and the Chocolate Factory, Wind in the Willows, The Sound of Music, and The Lion King are all great options as well. The Lancaster Hotel is a nice lodging option for families. The hotel is located in a nice neighborhood on the edge of Hyde Park and within walking distance of Paddington Station and the Undeground. Many of the rooms offer fantastic views of the park and the London sky scape and the staff is both friendly and accommodating. 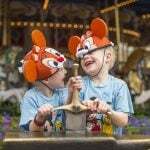 Families will love that the hotel has a special Peter Pan-themed afternoon tea as well as “elevenses,” Paddington Bear’s favorite mid-morning tea and cake time. Currently, the Lancaster is offering a special Paddington Bear package for families which features two connecting city view rooms, daily buffet breakfast, a feast packed full of treats, a Paddington Bear toy for each child, a frisbee for the park, an activity book, and a special registration experience for the kids. Michael Bond has written two dozen books about Paddington’s numerous exploits which have taken place all over London and beyond. We recommend starting from the beginning (Bear Called Paddington by Michael Bond) and then following Paddington’s adventures throughout the series. 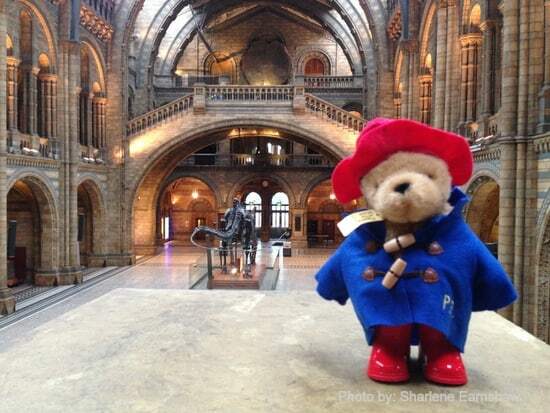 Looking for tips on exploring London from Paddington himself? Check out Paddington’s Guide to London by Michael Bond. This fun introduction to London’s major sites are covered in the perspective of Paddington himself, filled with distinctive humor and plenty of fun photos of Paddington all over the city. Follow Trekaroo Family Travel’s board Paddington Bear’s London on Pinterest. Looking for more in our Road School Series? 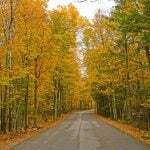 Check out this landing page with links to all of our RoadSchool Guides. 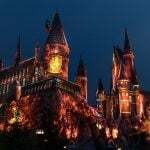 Disclosure: The author was hosted by VisitBritain along with several other members of the media so that she could gather information to write about London. The hospitality was tip top but all opinions are her own. 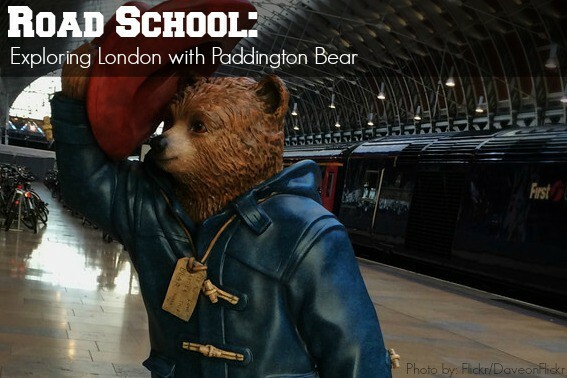 Even though my kids are older, they LOVED Paddington & would love to have done this trip.